Enjoy the top 1 famous quotes, sayings and quotations by Attia Hosain. I was taught from childhood of the sanctity of food. Not a piece of bread could be thrown away without kissing it and raising it to one's eyes as with all things holy. Want to see more pictures of Attia Hosain quotes? 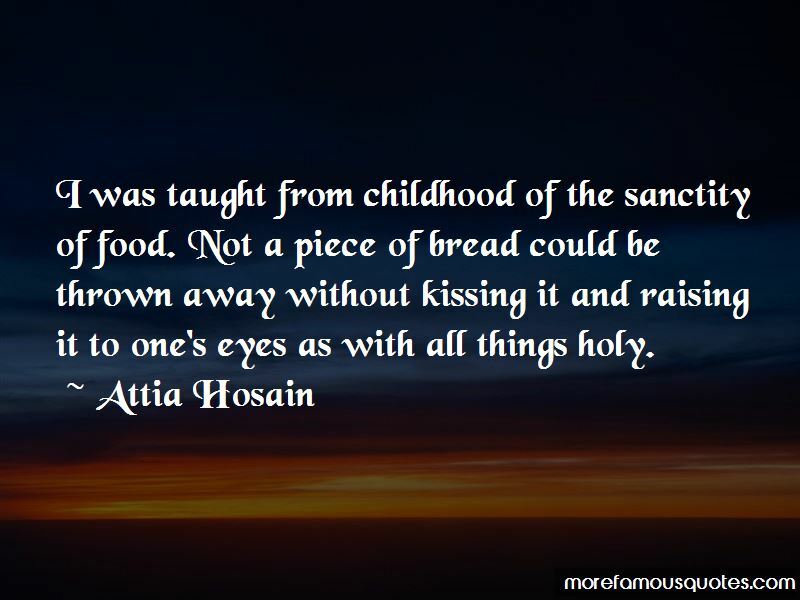 Click on image of Attia Hosain quotes to view full size.